Are you using your website to collect email addresses, publish your production sale photos and videos? Are your print ads driving traffic back to your website? And is it optimized for mobile users? A website needs to be more than just an online brochure. It needs to tell your story and it also needs to DO something. Let’s make your website WORK for you. 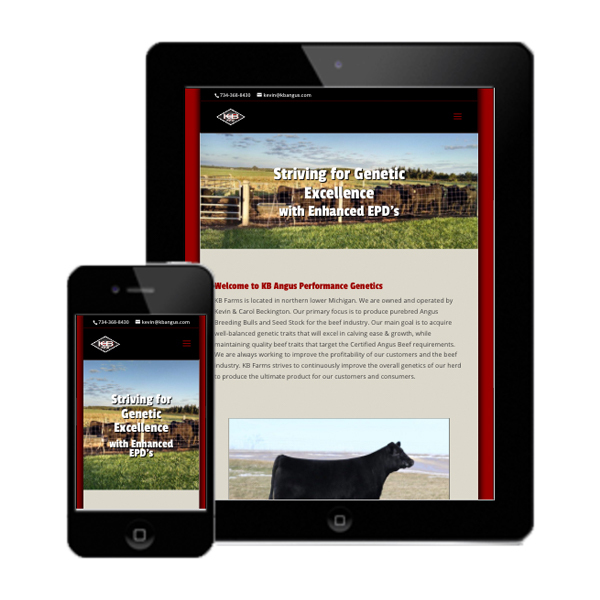 Get your website built by someone who understands livestock and farming. Hi! 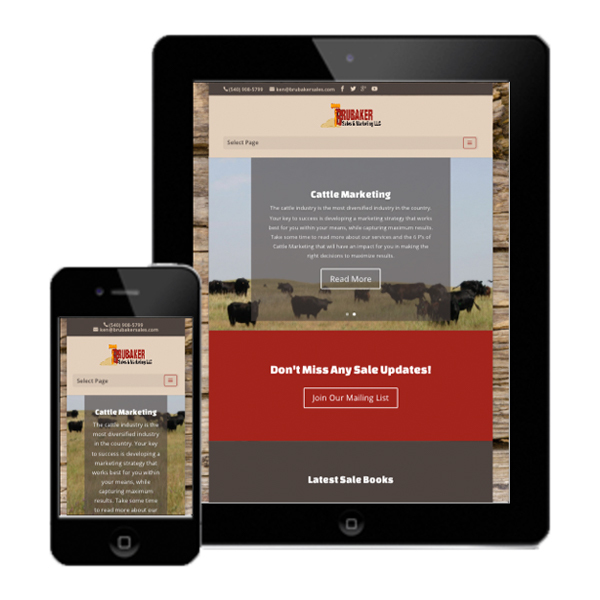 I’m Rebecca and I have been building farm and livestock websites since 1999. I grew up showing Angus cattle and my husband and I own a small cow/calf herd today. Over time, the way we use a website to support our business has changed. Today it’s important to keep your website up to date with a modern, fresh appearance. It needs to be optimized for mobile; and more importantly, it can serve as a marketing hub for all your digital marketing efforts. I’m here to help. What makes Rebecca VanDenBerg Web Services different than many other website designers is the resourceful solutions we provide. We can help you develop unique digital strategies that integrate your email marketing, social media pages, print and direct mail all with your website. I defend your brand against the pitfalls of complacency and help you stand out in the marketplace. Get your marketing back on track. There are a multitude of resources available to fit your individual needs. That’s where I excel – finding the perfect set of tools and functions to include in your website and digital marketing strategy. Every website package includes a strategic marketing consultation call. Let’s get to work and find the right set of tools for your project. 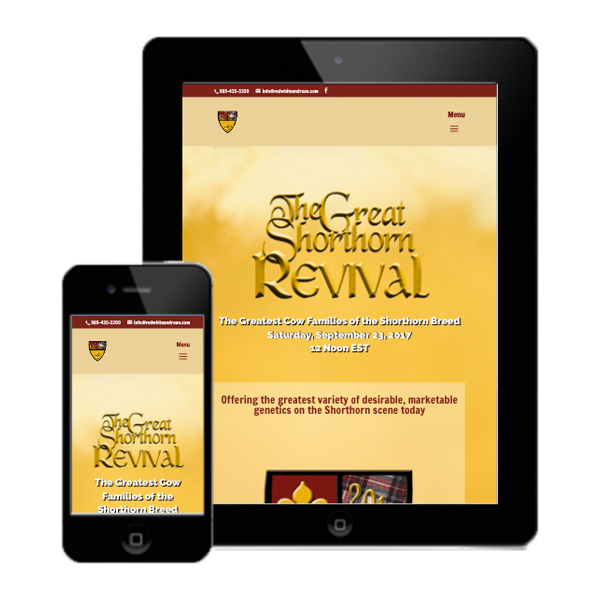 Your development of design of the new website for The Great Shorthorn Revival WORKS! I admire the time, effort and determination that you have committed in studying and enacting progressive digital marketing strategies that produce clean, simple and engaging websites that get the job done. Your open mind and disciplined approach allow creativity to take shape in very effective ways. Thank you for working with me so closely on development, and guiding the organization of lots of ideas into straightforward content that communicates who we are, what we do, and why we do it.